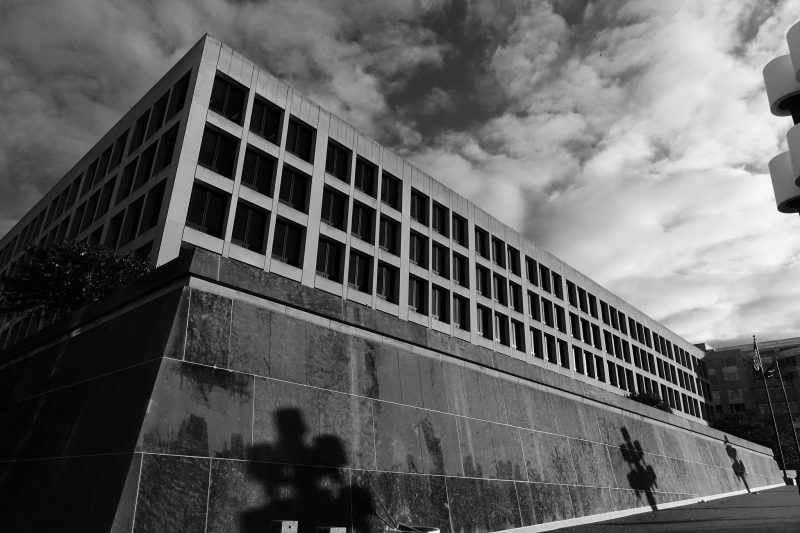 While much of the federal government is shut down, some government services are excepted because they are “performing emergency work involving the safety of human life or the protection of property or performing certain other types of excepted work.” Those who do the excepted work in a shutdown agency are what is known as “essential” workers. The Trump administration has expanded the definition of “essential” to just about any government service that would cause the public great discomfort (and therefore affect the President’s poll numbers) — like tax refunds or air passenger transport. Exceptions are also made when the administration’s favorite industries face hardship as a result of the shutdown. For example, federal employees who work to support the onshore and offshore oil and gas drilling industry, forest management (timber sales) and the mortgage industry have also been deemed “essential” after their lobbyists complained about how the shutdown was harming their business. Now the White House has apparently decided that pretty much anything the Chamber of Commerce wants is also “essential.” The White House Office of Information and Regulatory Affairs (OIRA) — the overlord of all government regulatory activity — is supposed to be shut down. But OIRA somehow mustered enough essential employees to protect the “property” of the administration’s main supporters by approving OSHA’s final “electronic recordkeeping” rollback. We don’t know exactly what it looks like (although we can guess) because the Federal Register is closed down, which means they can’t publish it officially. You may recall that last month, OSHA rushed the regulation over to OIRA months ahead of schedule for its (normally) three-month review. OSHA had proposed to drop the part of the regulation that would have required certain employers to send detailed information on injuries and illnesses into OSHA on an annual basis. The OIRA review was also rushed, finishing in just six weeks, half the allocated time — despite the fact that the agency that was doing the review was supposedly shut down for four of those six weeks. In fact, the work was apparently so important and so urgent that OIRA didn’t even have time to schedule or even respond to a request by the AFL-CIO for a so-called “12866 meeting.” These meetings are authorized under Executive Order 12866 (which governs OIRA review of regulations) “in order to ensure greater openness, accessibility, and accountability in the regulatory review process.” I guess during a government shutdown, none-essential things like openness, accessibility and accountability go down the same drain as things like paying employees for their work. The requirement that detailed information on OSHA Forms 300 and 301 be sent to OSHA has likely been eliminated. Now in the past (when the good guys* ran OSHA and the White House) 12866 meetings were almost never denied, much less ignored. Also back in the old days, when there was a backup at the Federal Register, OSHA would just publish the “unofficial” draft on the agency’s website — respecting the public’s right to know what was coming down the line as quickly as possible. It was based on a quaint, antiquated concept called “transparency.” So far, however, there has been no notification on OSHA’s website. So what does the new regulation say? No one knows for sure, but given the short time of review and the “essential” nature of any Chamber of Commerce desire, we can pretty much assume that the final regulation will look very much like the proposal. The requirement that detailed information on OSHA Forms 300 and 301 be sent to OSHA has likely been eliminated. And what was the rush? OSHA isn’t saying, but the general assumption is that OSHA wanted to get this out before the March 2 deadline for employers to send the 300 and 301 information into OSHA. OSHA suffered a significant legal defeat a few weeks ago in its attempt to dismiss a Public Citizen lawsuit. The court found that Public Citizen had grounds for suing the agency for violating of the Administrative Procedures Act which requires notice and comment rulemaking before suspending a rule’s requirements as OSHA was doing while it worked on the official rollback. And although that court case did not rule on whether the APA had actually been violated, it cast significant doubt on OSHA’s arguments — providing an addition incentive for OSHA to finalize the regulation before the March 2 deadline. *Full disclosure: I was one of the good guys.